Alter The Press! 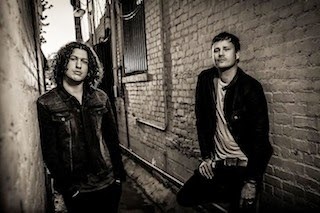 : Angels & Airwaves Release New Song "Bullets In The Wind"
Angels & Airwaves Release New Song "Bullets In The Wind"
Angels & Airwaves have released a new song titled "Bullets In The Wind," which can be streamed below. The track is taken from the band's upcoming album The Dream Walker that drops December 9th via To The Stars.